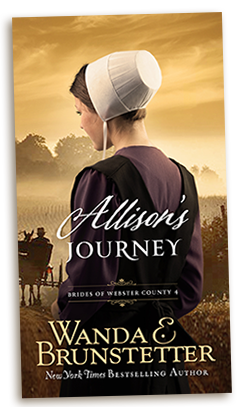 Allison Troyer is of marriageable age and needs to learn how to manage an Amish household. Can a girl who feels as faceless, purposeless, and neglected as her tattered Amish doll, find her way among strangers? James Esh likes what he sees when Allison Troyer walks into the barn. Will anything keep this brash young Amish man from stealing her affections? Aaron Zook has vowed never to lose his heart to another. Yet when James makes advances on Allison, Aaron can’t help but intercede. Can threads of faith and love unite tattered hearts? Book 4 in the Brides of Webster County series. 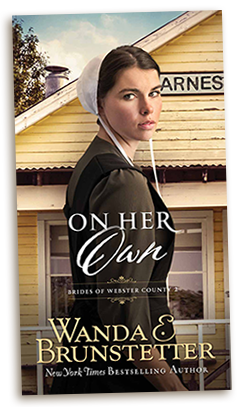 Enjoy the bestselling Brides of Webster County series of four novels all under one value-priced cover. 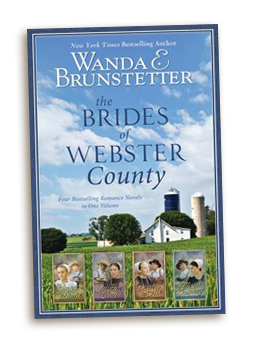 This jumbo volume encases four beloved novels by New York Times bestselling author Wanda E. Brunstetter. 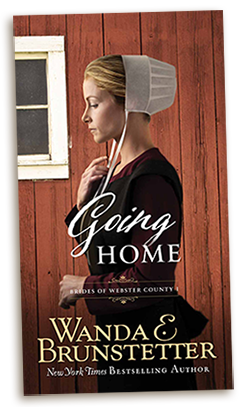 Four Missouri women struggle to fit to the expectation of their Amish community and to trust God when life hands them unexpected challenges of widowhood, parenting, careers, and dating. It's always difficult for an Amish family when one of their young people leaves the faith. If the young person has already joined the church when they leave, it will result in a shunning. In a small, very plain, strict Amish community such as Seymour, Missouri, a shunning is more severe than in some other communities. When I heard about a young Amish woman who had left the faith and was ignored by her parents when she returned home for visits, a story involving understanding and forgiveness began to formulate in my head. My husband and I have visited the Amish in Seymour several times, and we were very surprised when we learned that they drive only open buggies — another indication of their very plain ways. "Wanda Brunstetter is a wonderful storyteller. She uses her experience in visiting Amish settlements throughout the United States to add realism to her stories. 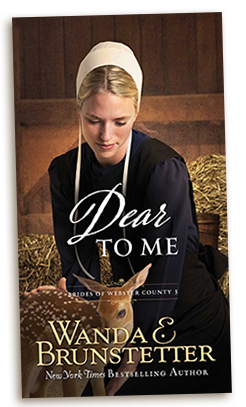 Dear to Me is the third book in her The Brides of Webster County series. Dear to Me will have you seeing what is really dear to Melinda's heart and how God can work in your hearts and show how you can utilize your talents to His glory!" "Brunstetter never fails to deliver a book worthy of staying up all night to finish. I often wonder if it is her that does the typing or the angels, because she definitely has a God-given talent."